Principal Cast : William Powell, Myrna Loy, Luise Rainer, Frank Morgan, Fannie Brice, Virginia Bruce, Reginald Owen, Ray Bolger, Ernest Cossart, Mae Questel, Joseph Cawthorne, Nat Pendleton, Harriet Hoctor, Jean Chatburn, Herman Bing. Synopsis: The ups and downs of Florenz Ziegfeld Jr., famed producer of extravagant stage revues, are portrayed. 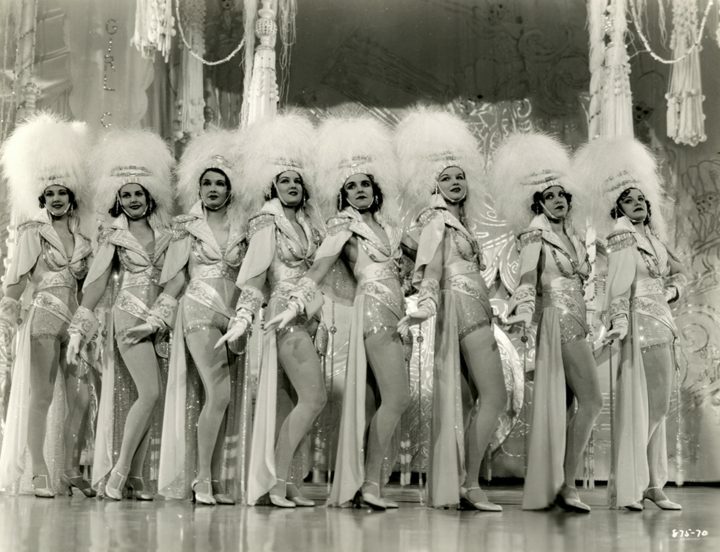 The story of noted stage impresario Florenz “Flo” Ziegfeld, creator of the famous long-running theatre revue, “Ziegfeld Follies,” The Great Ziegfeld is an expensive, vibrant, visual treat that personifies the phrase “lavish” to its very core. 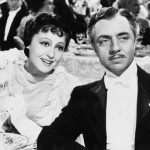 Sprawling, boasting a superb cast and featuring some justifiably gob-smacking sets and musical numbers, and featuring indelible performances from star William Powell and Luise Rainer (who snagged the first of her two career Oscars here), the film’s sense of occasion often outsteps its ability to form genuine emotional moments, but remains a charming, funny, symbolically excessive production about one of the 20th Century’s most enigmatic – perhaps romanticised – entertainment figures. In the shadows the 1800’s, Florenz “Flo” Ziegfeld (Powell) spends his time hawking the skills and abilities of the “world’s strongest man”, Eugene Sandow (Nat Pendleton), against the showmanship of rival Mr Billings (Frank Morgan), with whom he forms an unlikely bond as they try to one-up each other capturing the latest “talent” to put into their productions. Ziegfeld, snaring the signature of French singer Anna Held (Luise Rainer), becomes a success after multiple failures, and eventually weds his ingenue, before eventually drifting apart and settling in divorce. Ziegfeld’s preeminent showpiece are his Follies, a series of stage productions of increasing opulence and style, and he achieves success with these until audience appreciation begins to wane. Ziegfeld’s eye catches on a younger up-and-coming performer, Billie Burke (Myrma Loy), whom he weds and eventually reaches huge success with multiple shows opening on Broadway, before the stock market crash of 1929 hits hard and his fortunes are swallowed up. It’s ironic that such an iconic a stage producer as Ziegfeld would be undone by the very medium on which we can now revisit his life – film. It’s also ironic that a man with such lavish tastes would be the centerpiece of a film so rich in texture and extravagant design when he himself prided his career on a similar reputation. Spare no expense, Jurassic Park maestro John Hammond would exclaim nearly sixty years later, a modern equivalent to Ziegfeld’s “give ’em” what they want” mentality in offering high class production value. MGM spent a great deal of money on The Great Ziegfeld, the production costs of which were reputed to be anywhere north of $2 million, a staggering amount for a film of the period, and the money is entirely up there on the screen. Entire reviews could be written about The Great Ziegfeld’s incredibly detailed design, from the costuming (by MGM’s tailor du jour Adrian) to the set design and crisp cinematography, and I’m sure plenty could be written solely on the performance of Luise Rainer’s scene-stealing work, but it’s the film’s gargantuan sense of scale, time and withering excess that holds the gaze long after the dramatic momentum has faded. For sure: the film’s opening half is superb, a bright, brilliantly directed, superbly acted piece of entertainment mythologising – Hollywood loves nothing more than a story about one of its own, and Ziegfeld was most definitely an entertainer of the highest order – but the second half, in which the characters must endure beyond the blazing smiles and lens-flaring sequins to their tragic, melancholy fate, lacks a similar resolve. The Oscar-nominated screenplay by William McGuire is by turns hilarious, dark, sentimental and overtly optimistic, and always feels barely a soliloquy away from espousing the great American Dream, and in director Robert Leonard’s hands the dialogue and double-speak genuinely sparkles. 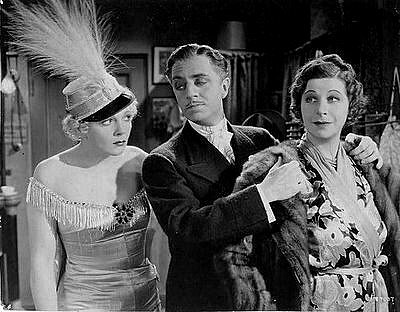 The Thin Man star Powell’s Ziegfeld is a smooth-talking charmer, self-described “ladies man” and entrepreneur in the best manner of Rockefeller’s America. The actor imbues the charismatic salesman with an eye twinkle and an almost zealot-like desire to succeed, although the film never tackles the more intimate question of what drives him. Through Leonard’s frame the man is often too enigmatic for his own good, running up debts and making his fortune like you or I would thoughtlessly drive through a burger joint. Is it the prestige Ziegfeld desires? The fortune? The legacy? The film isn’t particularly clear on this, which is astonishing considering the man’s wife, Billie Burke herself, was an adviser on the project. Original Ziegfeld Follies performer Fanny Brice (R) on the set of The Great Ziegfeld. Any good biopic requires some manner of tragedy, some kind of knee-buckling fatefulness to gather the subject’s humanity and display it to the viewer, and in The Great Ziegfeld this point comes really, really late in the movie. As he boasts to his accountant Sampson (a terrific, and perpetually befuddled, Reginald Owen) of his enormous Broadway success late in the film, the fateful phone call comes in from his stockbroker to announce the market has crashed and he’s lost everything – hell, it’s positively Gatsby-esque – and with this twist in Ziegfeld’s life comes the anticipated fall from grace a film like this enjoys. The film’s final act includes a sympathetic fantasy sequence before things all come crashing down, and Powell’s haunted performance once Ziegfeld’s fortune is gone contrasts heavily, albeit without the weight I think the film expected it to have. 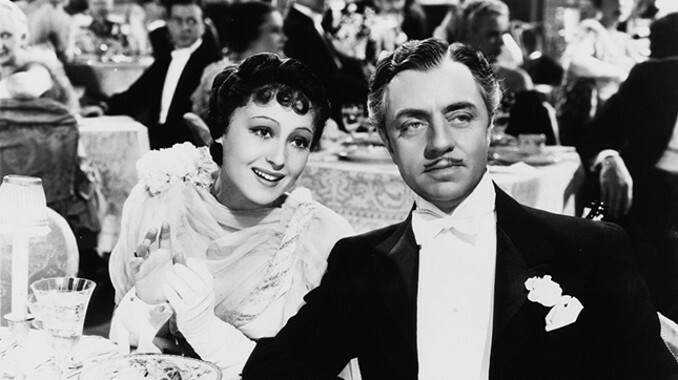 Powell aside, easily the most memorable human performance in The Great Ziegfeld is hands-down Luise Rainer, as Ziegfeld’s first wife Anna. Rainer is sublimely hilarious, as the snobbish, shallow French star, and draws the film’s best laughs from her schizophrenic behaviour that, while initially irritating, eventually elicits actual affection. Rainer’s performance during the film’s famous “phone call” scene, in which she forces herself to with her ex-husband all the very best through clenched teeth and teary eyes, was obviously enough to snag her an Oscar, but it’s her work earlier in the film where the actress truly shines. It’s a noteworthy performance in a film filled with them. 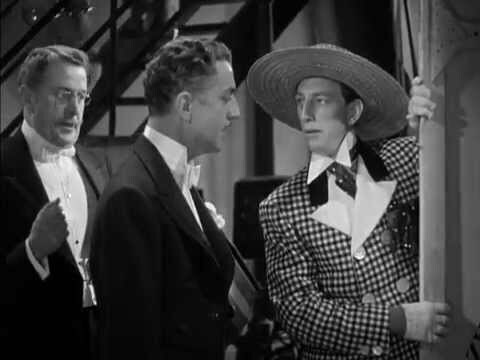 The gaggle of MGM players scattered throughout includes a pre-Wizard of Oz Ray Bolger, who exhibits one of the most jaw-dropping feats of physicality I’ve seen in a dancer ever, eventual Wizard of Oz himself Frank Morgan as Ziegfeld’s rival-slash-financier-slash-friend Billings who bellow-chortles his way through this film, and of course the lovely Myrma Loy, who had appeared with William Powell before (and would again) as a long-standing screen partnership similar to Bogart/Bacall and Hepburn/Tracey in years to follow. Actual Ziegfeld Follies performers make appearances too, including the awesome Fannie Brice playing herself, and she draws some decent laughs and a nice moment singing one of her famous melodies. Also, look fast for an early scene featuring Joseph Cawthorne as Ziegfeld’s music teacher father, in a temperate but lingering footnote in the life of one of entertainment’s most charismatic showmen. 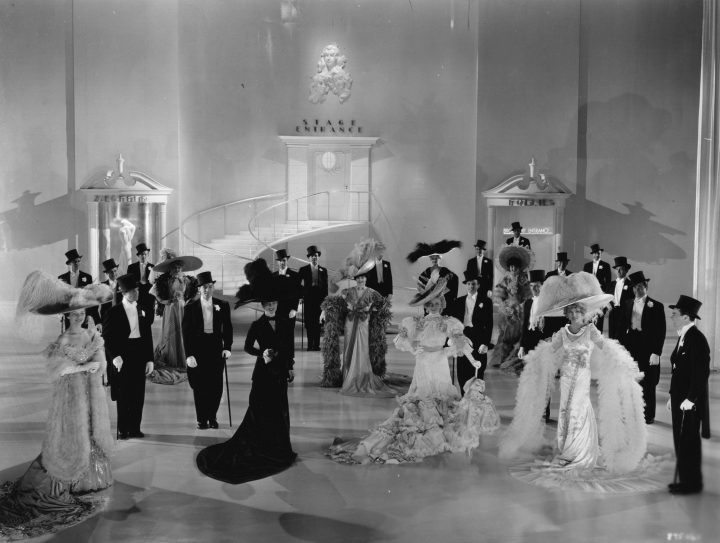 There’s few films I’ve seen that could adequately replicate the sheer opulence of The Great Ziegfeld, however. From the stately homes of Ziegfeld’s childhood and adulthood, to the stage halls of New York City, no expense appears to have been spared to bring some of the most lavish musical sequences to the big screen. Chief among them is the film’s famous “wedding cake sequence”, in which an enormous spiral staircase standing some 70 feet tall spins before the camera revealing a lengthy one-take song-and-dance sequence that is just simply astonishing as a technical feat, let alone a narrative one. Given the film was made in the middle of the Great Depression, one has to wonder if Hollywood’s expression of extravagance here was entirely justified, but the film made enormous bank back in the day so I guess if nothing else, it proves people still dreamed of being rich. The Great Ziegfeld has moments of absolute clarity and beauty, and late in the piece a few moments that drag and suffocate momentum. 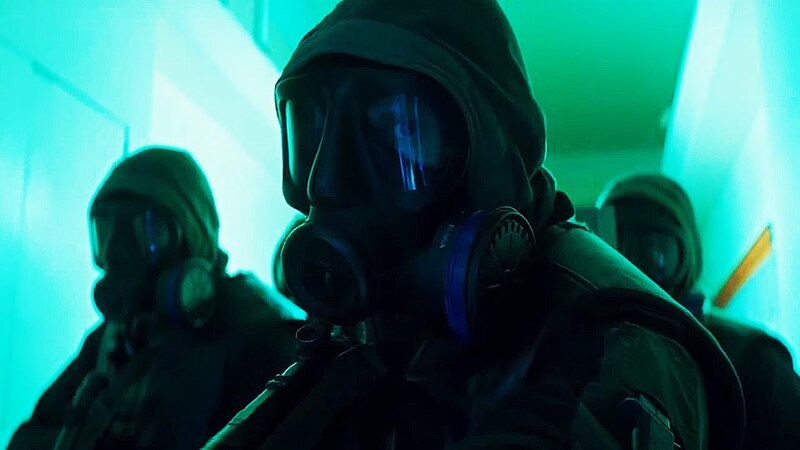 The roadshow version of the film clocks in a tick over three hours, and I’ll be honest if I didn’t admit to checking my watch as the second half rolled on, wondering if at least some portions of it might have been excised for the sake of dramatic expediency. But when MGM spend a fortune producing the film, I’d wager they would want as much as they could actually in the film instead of the cutting room floor. 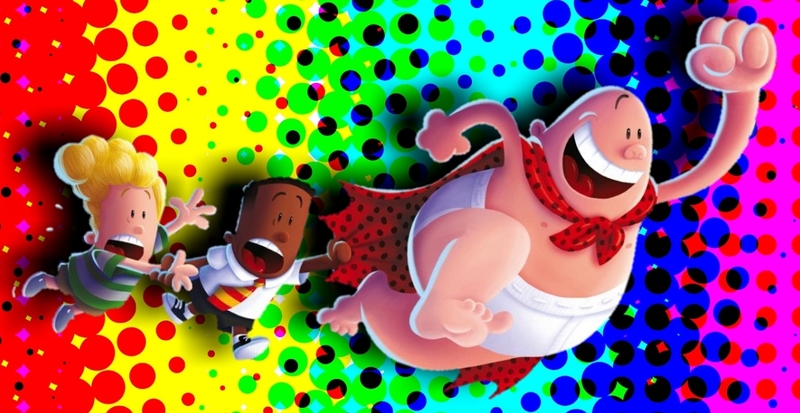 Some might be put off by the film’s excessive length, and question why a more concise edition of the film never made it into theaters, but I had an absolute blast watching this film and that’s all I can really ask for. I learned some stuff about a period in history I’d never really heard about before, I learned a little bit about a man who literally spent his life making dreams come true (including his own), and I had a great time watching a parade of quality performers deliver a film quite unlike any Best Picture winner before it. 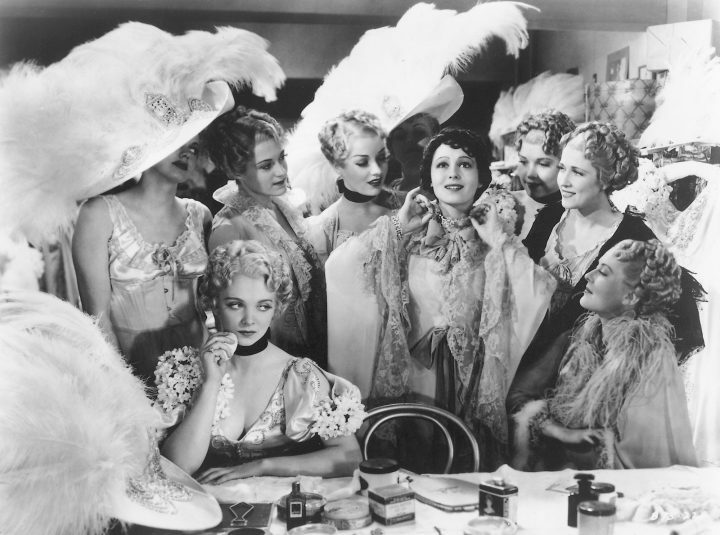 The Great Ziegfeld is operatic cinema at its finest: a souffle of song, laughs, tears and music, set to the implacable drumbeat of time and the extraordinary money spent putting this story up on the screen.